The new year has begun, and is already speedy past me at lightning speed! I can’t believe winter is almost halfway over and we are charging right along into spring. Valentines Day is only one week away, and I have absolutely nothing planned for my kids OR my husband! In an effort to be more organized this year, I am attempting to really focus on preparing for the holidays far in advance so that they don’t creep up on me like they always do, every single year! I might have totally missed the boat for Valentine’s Day, but I think I’ve got Easter covered with these creative Easter basket ideas I’ve compiled! I’m so excited to share these with you and can’t wait to make them for my kids. 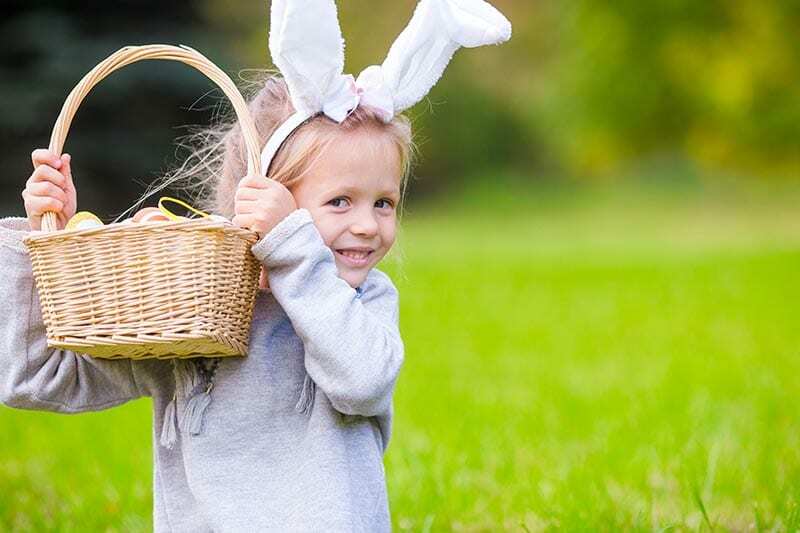 It can be so tempting to run to the dollar store and just fill the kids Easter baskets with junk, but I really wanted to find things that they would enjoy and that would not end up in the trash the next day. We are really trying to be more mindful about what we put in our home and the things that we choose to let into our life by using the Konmari Method for our home. This even extends into holidays like Christmas or Easter and it’s been so good for our family. 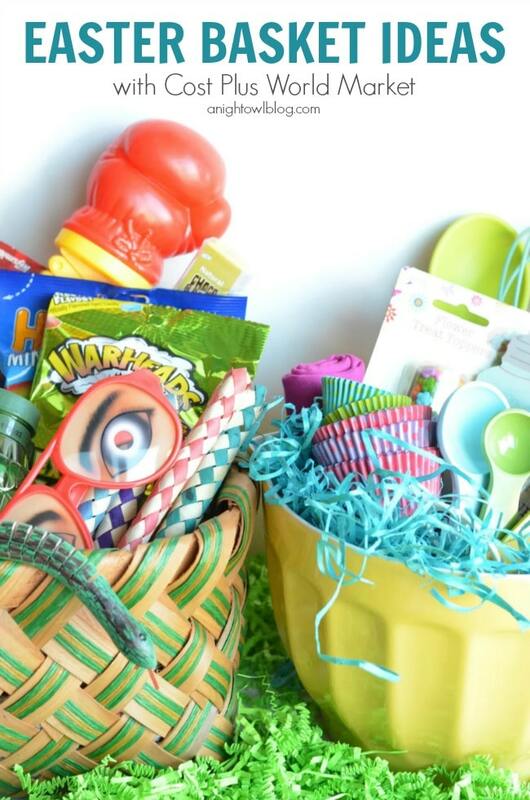 Your Easter basket doesn’t have to be storebought or monogrammed! It doesn’t even have to be a basket! 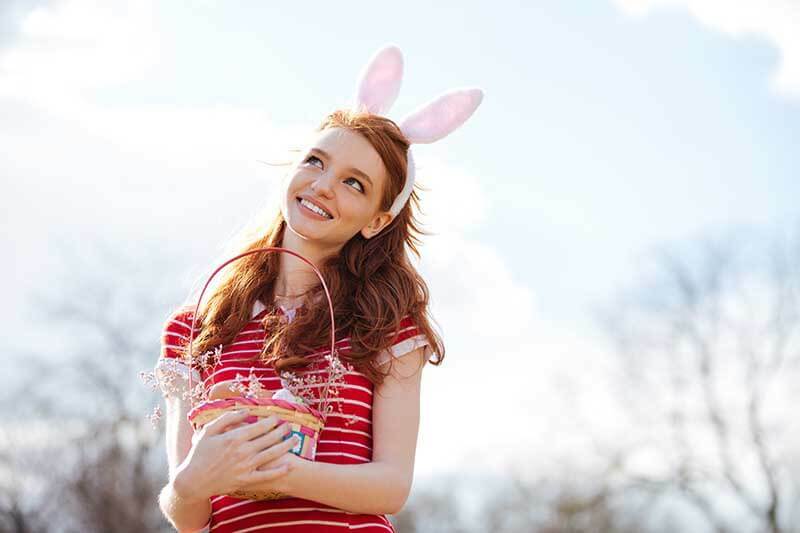 There are so many awesome and unique DIY Easter basket ideas floating around the internet. I wanted to share a few of the ones I love! I love umbrella Easter baskets and the idea of using an umbrella instead of a basket. 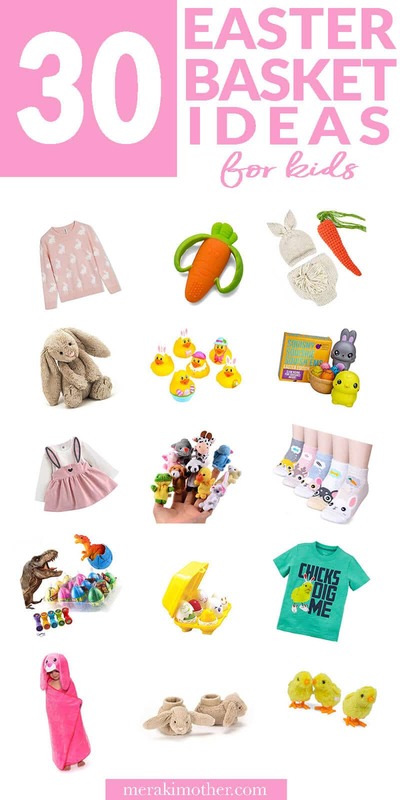 You can fill it with lots of unique or themed things like books about rain, rain boots, or cotton candy “clouds”! The spring is always a great time of year for a new umbrella, at least where we live! 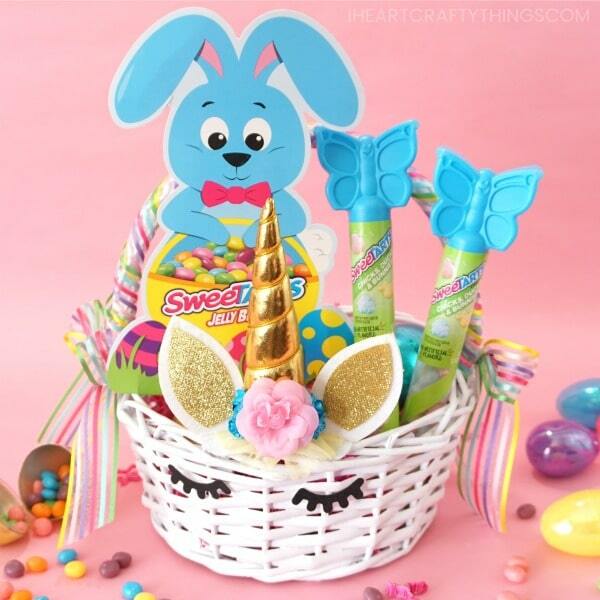 I’m totally obsessed with this DIY Unicorn Easter Basket from I Heart Crafty Things. 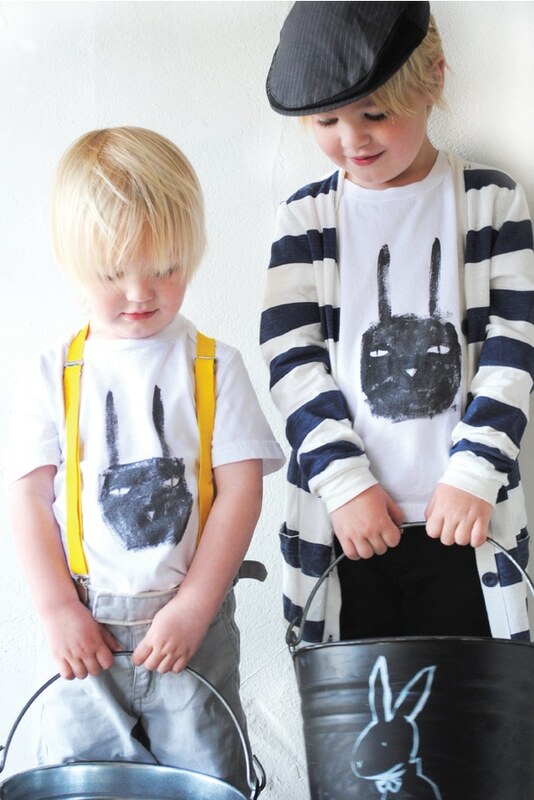 You know how much we adore all things unicorn around here! 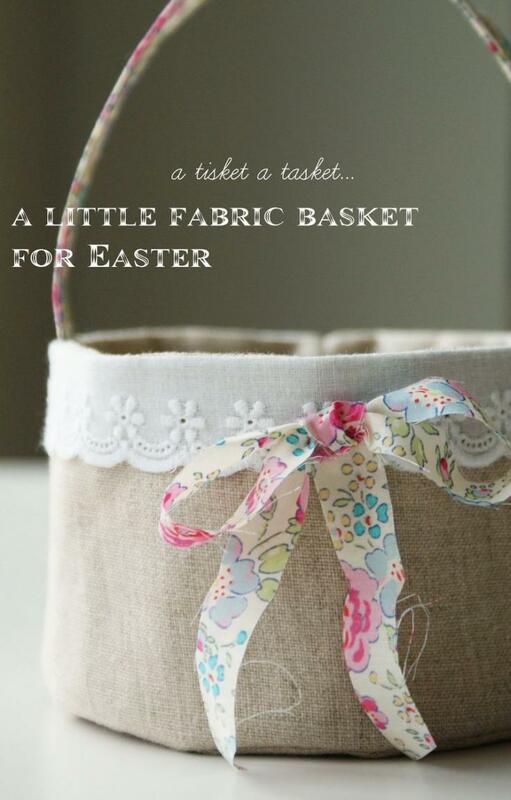 I love this gorgeous fabric homemade Easter basket from Nana Company. It would be great to use some leftover fabric from previous projects on this! 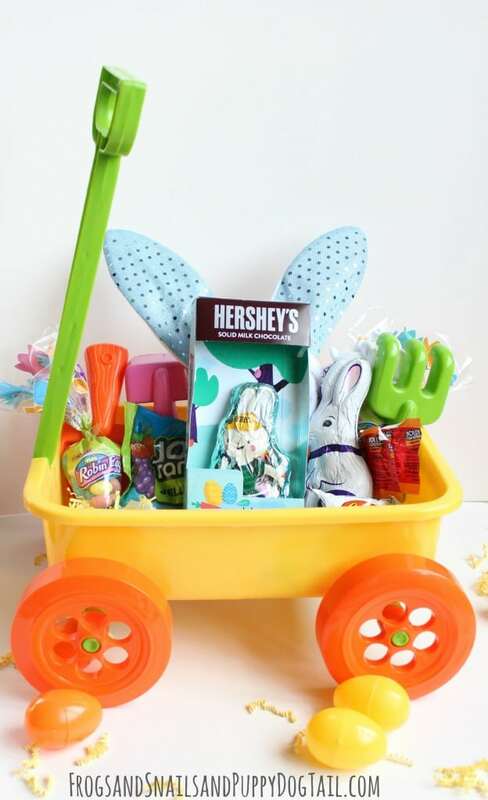 How darling is this Garden Wagon Easter Basket from Frogs Snails & Puppy Dog Tails? So great to encourage kids to play outside or even start a garden of their own. 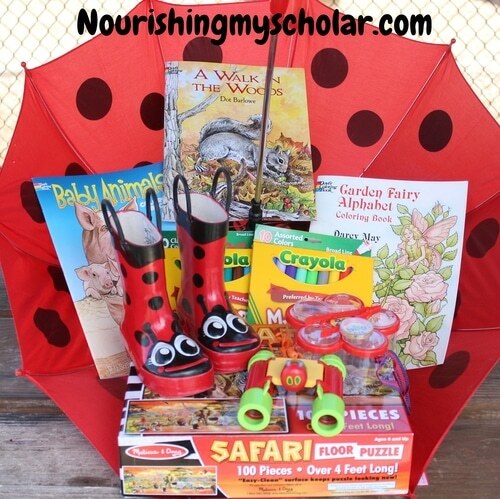 You could include things like garden shoes, seeds, and a watering can too! You can even use a plain old bucket, but i love these buckets painted in chalk paint. So cute! This one is great for older kids and tweens who love cooking and baking. You can use any simple bowl for a basket. 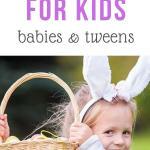 I love these ideas for Easter basket fillers for kids of all ages! 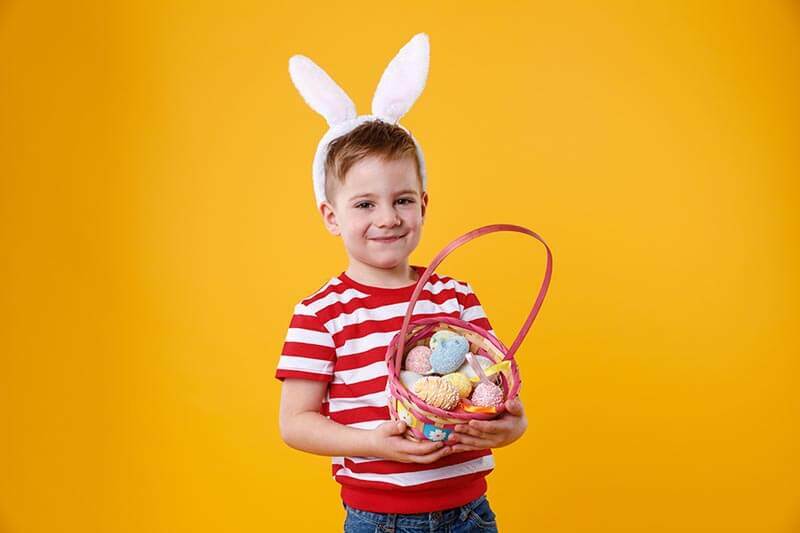 I’ve divided these Easter basket ideas into separate sections: Easter baskets for kids, toddlers, babies, and tweens, but first I wanted to talk a little bit about Easter baskets and the many options you have! 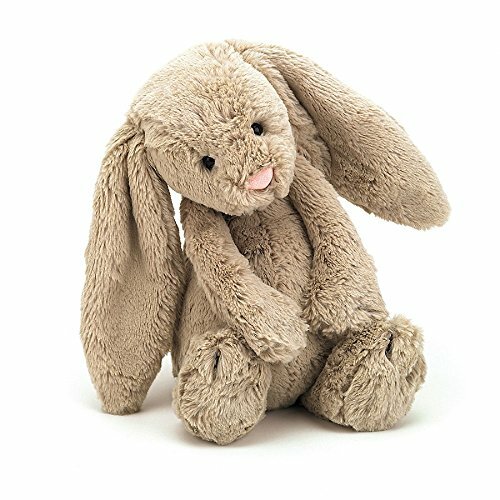 Jellycat Bunny: I love the plush toys from Jellycat. We have a few of them and they are classic favorites that we keep forever. So soft! This bunny is adorable! 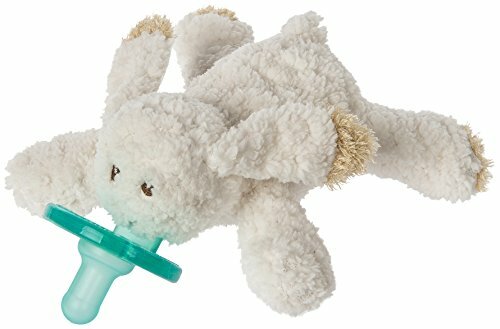 Pacifier Lovee: I love this little bunny pacifier lovee! 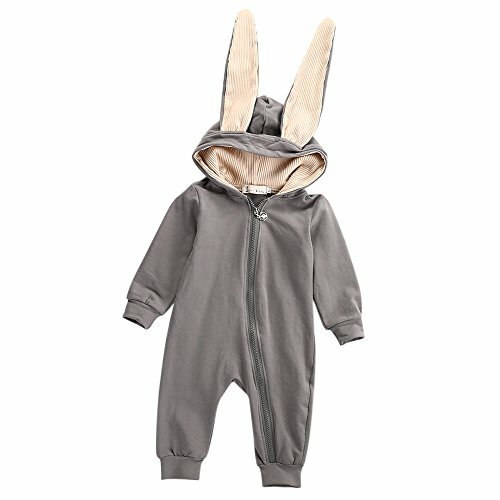 Bunny Outfit: I’m dying over this Easter bunny outfit for toddlers! 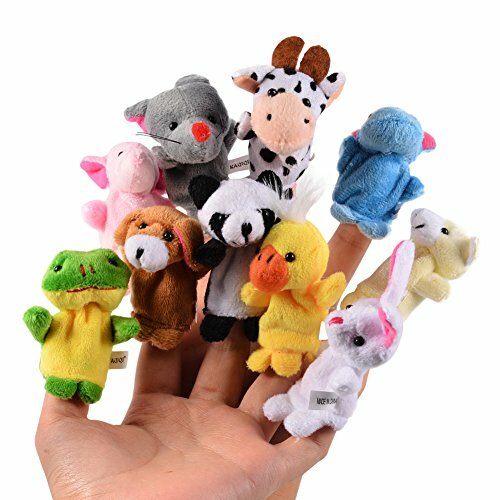 Finger Puppets: I love these soft little finger puppets. They’re great for car rides, quiet time, or plane rides. They have provided us hours of entertainment! 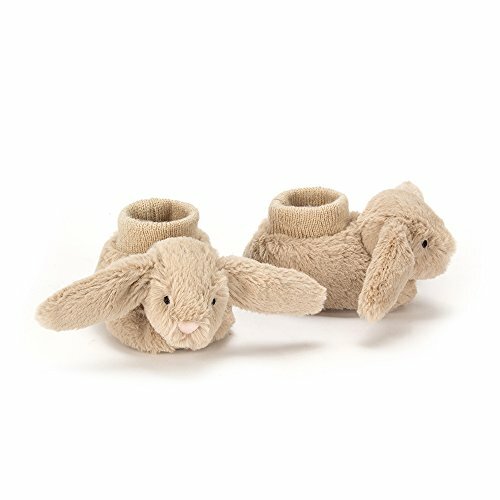 Plush Slippers: I wish they had these little Jellycat bunny slippers in my size! How cute are they?! 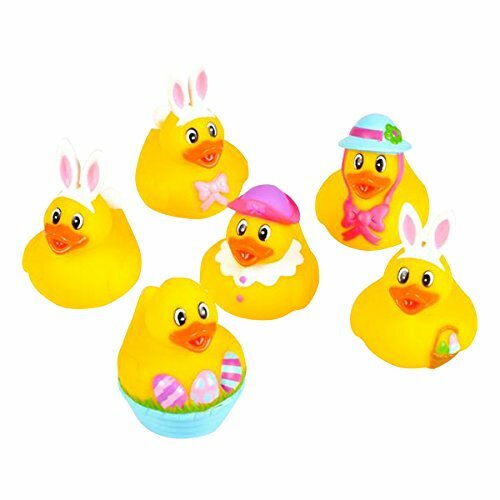 Bouncing Ducks: I got these bouncing duckies for my kids last year and they went bonkers for them! Easter Buny Bath Towel: Dying over this Easter bunny bath towel! Again, necessary in adult sizes! 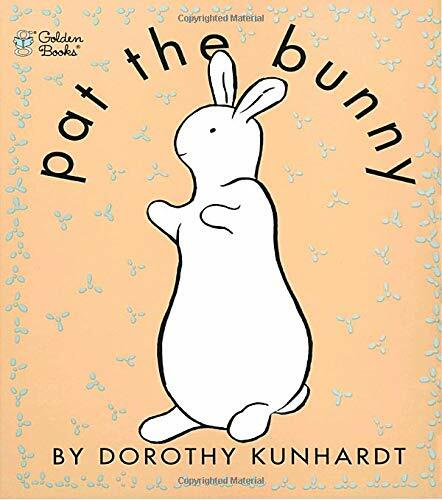 Easter Book: This book is super adorable. My toddlers love any kind of touch and feel book. 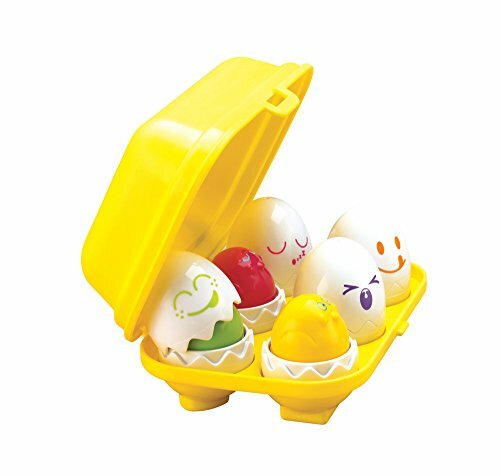 Sensory Eggs: These little eggs are perfect for developing fine motor skills. Sensory skills and fine motor skills are so important at this age. 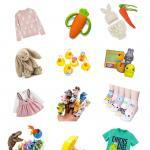 Get a list of our best sensory toys here. I find that Easter Baskets for Kids are pretty easy. There is usually so much that they are interested in during the ages of 4-10, that it’s easy to find something they are passionate about. 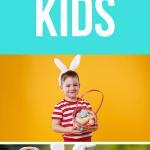 I love these Easter basket filler ideas for both boys and girls. 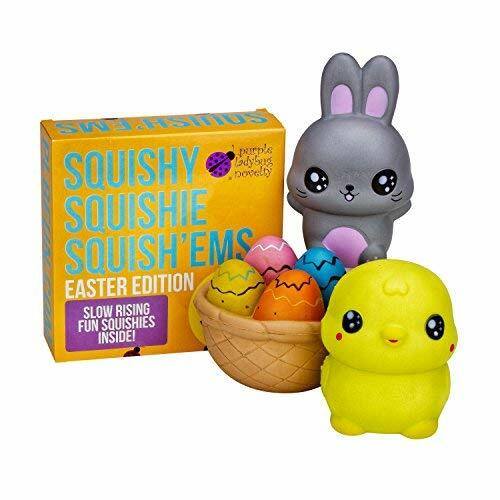 Easter Squishies: Are your kids obsessed with these squishies like mine are? I have to admit, they are so much fun to play with and make for great stress relievers! Easter Socks: I don’t know about you, but my girls are always in need of new socks! Between the dryer eating them and ripping holes in them, I feel like we are always short on socks. So I usually get them socks for every holiday, and they always come in their December Box! 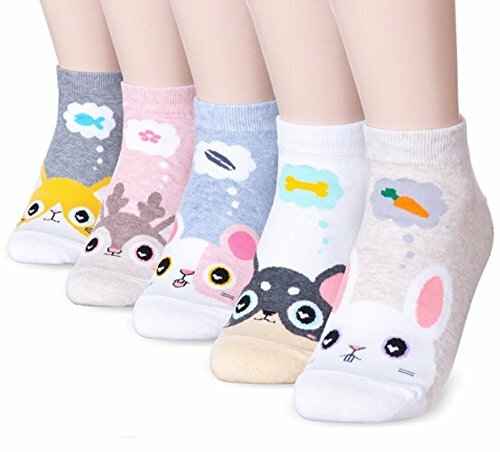 I love these bunny socks! 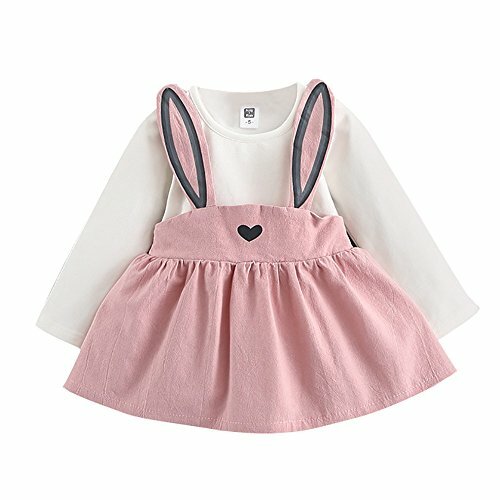 Perfect for Easter and Spring. 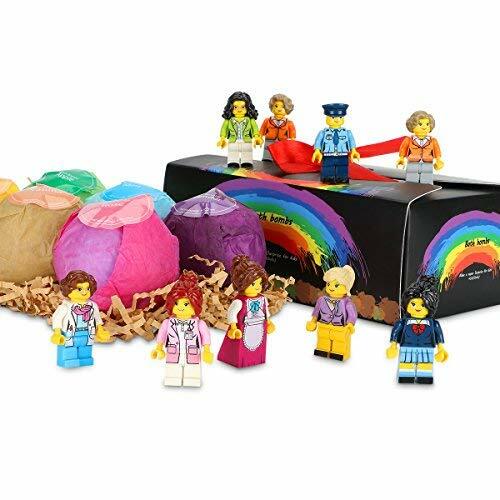 Toy Bath Bombs: The only thing better than a bath bomb…a bath bomb with a TOY inside! 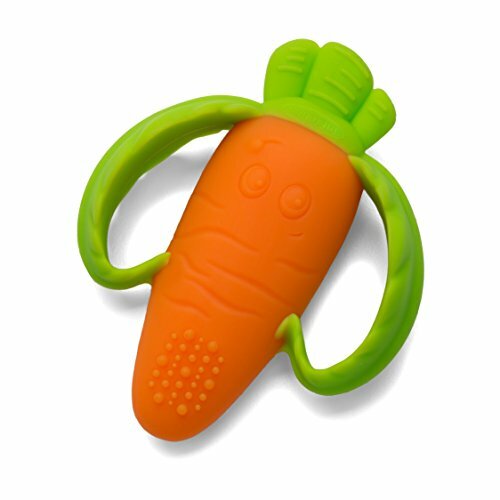 These are so cute and fun! 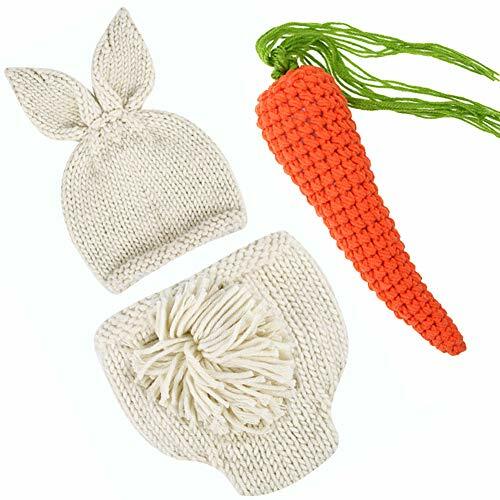 Great for boys or girls Easter baskets. Spring Makeup Kit: I’m not sure about your girls, but my 8 year old is obsessed with makeup, but not just any makeup…MY makeup! 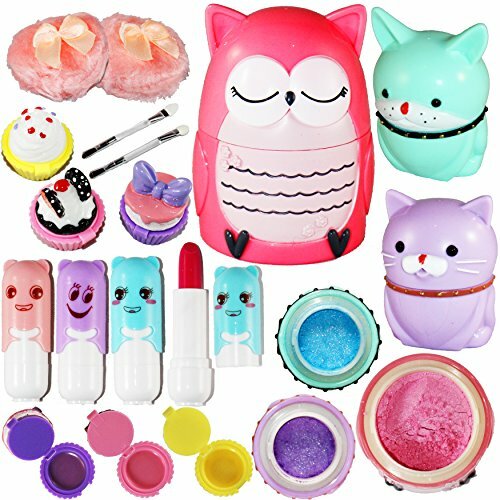 This adorable makeup kit is great because she can now have her own little set to play with. Mini Boden Knock-off Dress: Do you love Mini Boden, but not their pricetag? I found these dresses on Amazon a while ago and they are now my favorite. 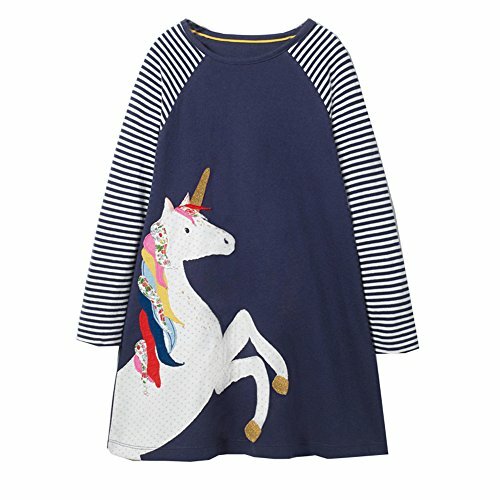 Total Boden knock-offs with adorable animal apliques, but for literally a quarter of the price! 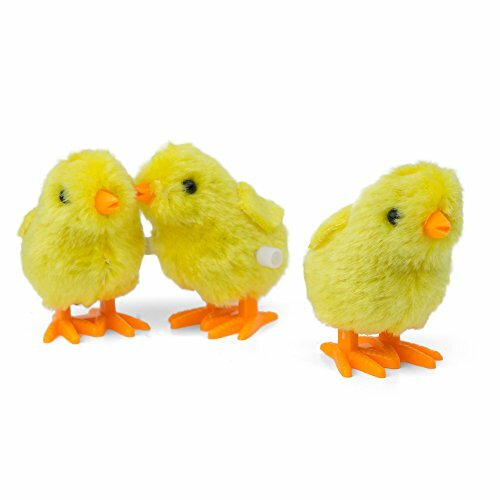 They have a cute little bird dress that would be perfect for Easter. Unicorn Egg: You know how we feel about Unicorns over here at Meraki Mother! 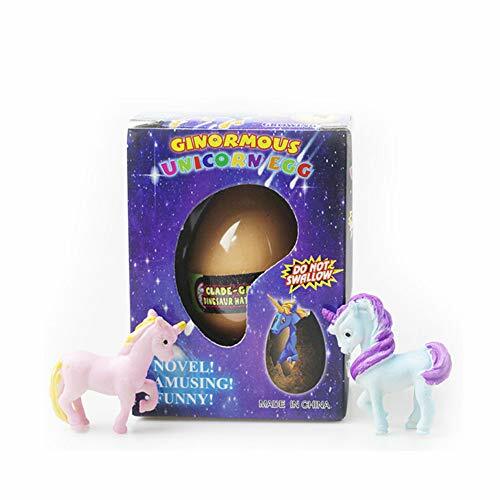 This hatchable Easter Egg with a unicorn inside is so cool! 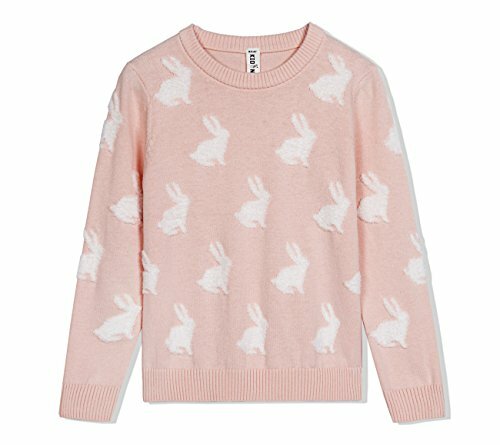 Easter Sweater: This is the sweetest little bunny sweater for little girls. 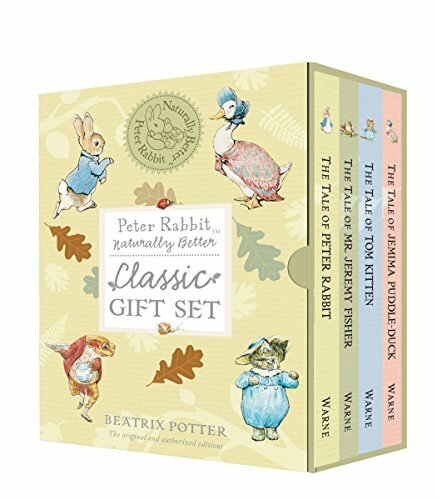 Beatrix Potter Books: Beatrix Potter is a staple at our house. 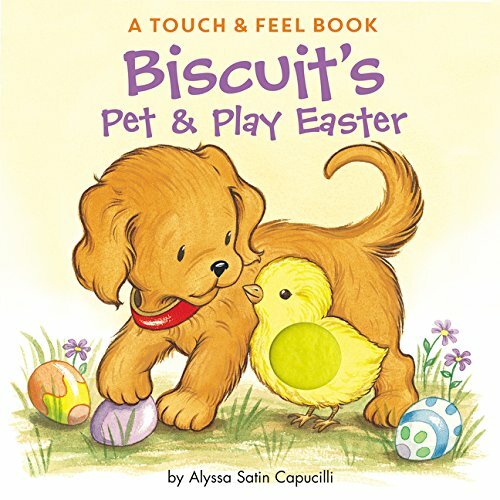 I love this little book set as an Easter gift for your young reader. 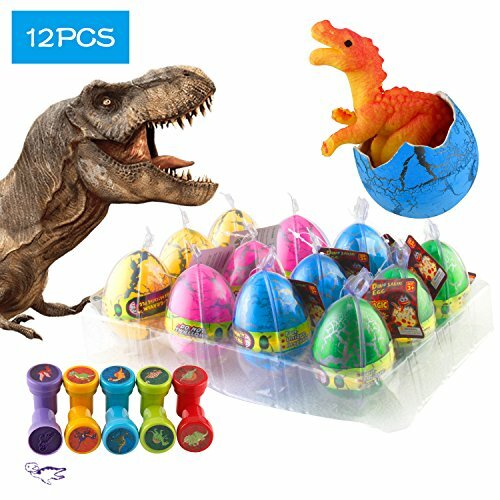 Dino Eggs: These dinosaur eggs that hatch in water are super entertaining. My little guy is obsessed with all things dinosaur right now. 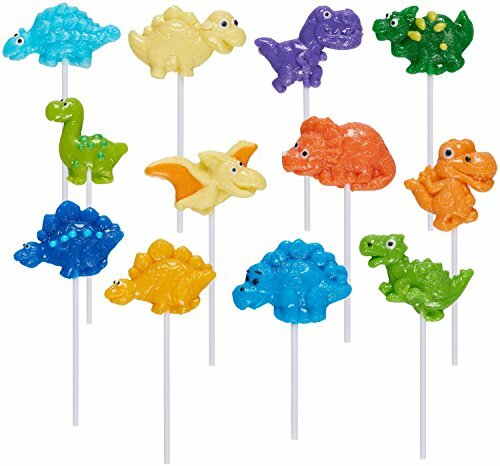 Dinosaur Lollipops: Probably another reason why I love these cute dino suckers! 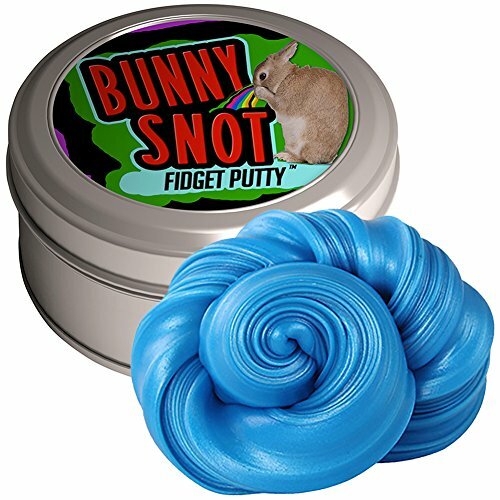 Bunny Snot: Am I the only one who has gross boys that think things like “bunny snot” is amazing!? But seriously, I know a lot of people are slime haters, but I love this stuff! 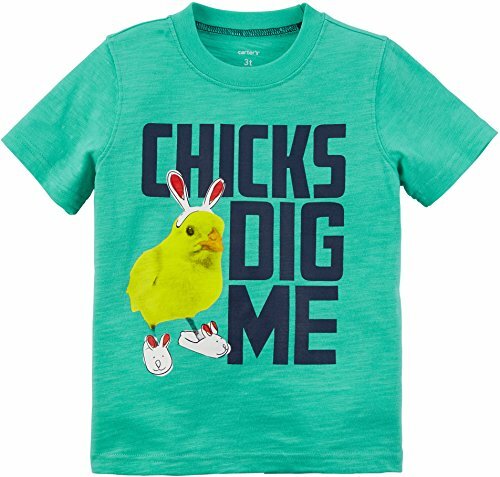 Easter T Shirt: This shirt is so cute and funny! 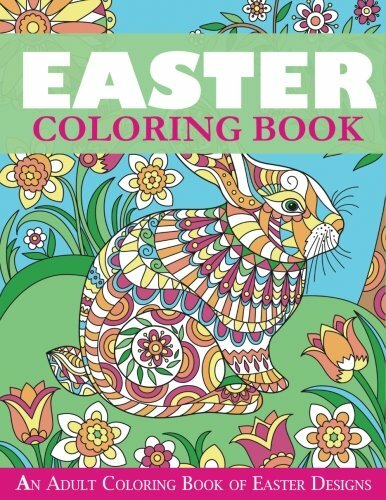 Eater Adult Coloring Book: My tweens still enjoy coloring and it’s fun to have something a little more challenging. It’s a great stress reliever too. 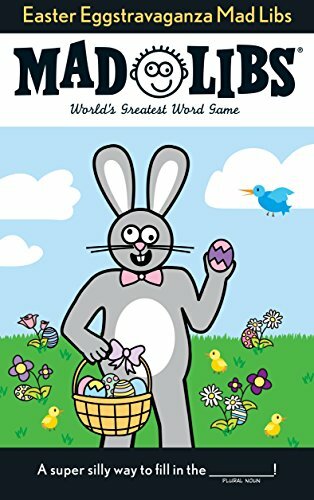 Easter Madlibs: My tweens love madlibs…and honestly so do I! They’re good for learning grammar and fun too! 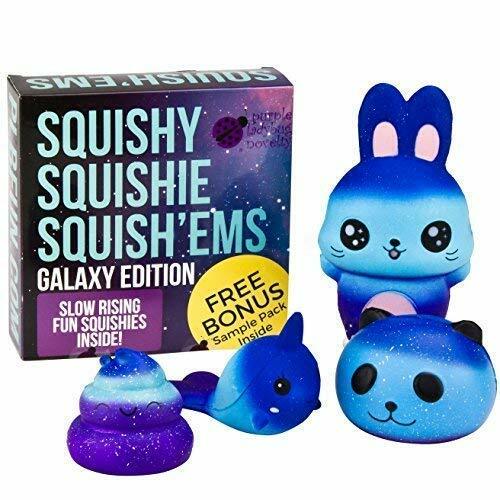 Squishies: Even tweens love squishies! Love this Galaxy Easter Bunny! 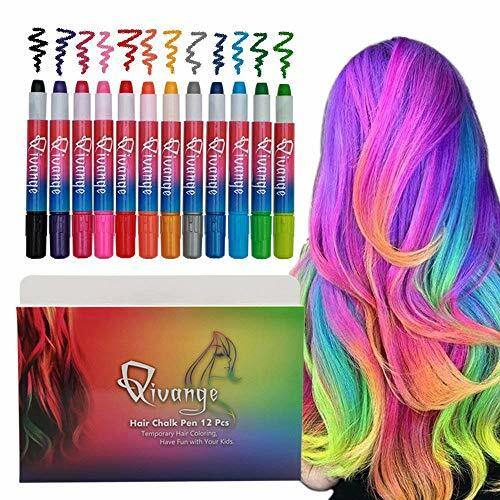 Hair Chalk: My tweens are getting to that age where they want to start doing crazy things with their hair. I love that this hair chalk color washes out easily! 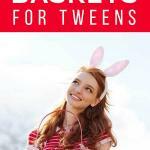 I hope you loved these Easter basket stuffers for kids of all ages as much as I did. Easter can be a really fun time for family, fun, friends, and food, no matter how you celebrate! Save this for later, or even for next Easter!